I know, 3 ingredients? Is this even a recipe? Not really, but it’s so good and so easy that I didn’t want to just keep it to myself for the rest of the summer. 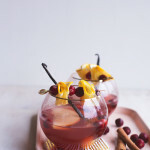 I’ve made this super easy “sangria” a few times now and I can’t believe I hadn’t thought of it before! 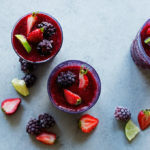 It hits all the basics that I want from a refreshing glass of sangria and pares it way down to the basics: wine (duh), a little extra booziness but nothing over the top, and lots of summer fruit. That means you can get from point a (sangria-less) to point b (sangria-full) quicker! You could add other fruits, but I like peaches for this not just because peaches are one of summer’s greatest gifts, but also because their juicy sweetness plays so well with the rosé and floral St. Germain. 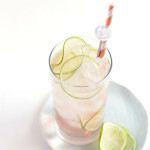 So, stir up a quick pitcher of this blushy cocktail, get out the lawn chairs, and cheers to summer! 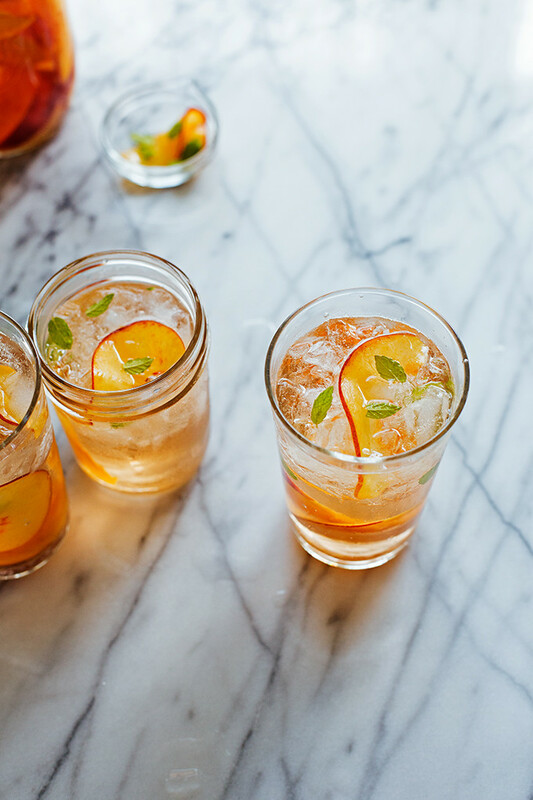 This cheater's version of sangria has just 3 ingredients: dry rosé wine, floral St. Germain liqueur, and juicy peaches! Pour the wine and liqueur into a pitcher or carafe, stir to combine. Add peach slices. 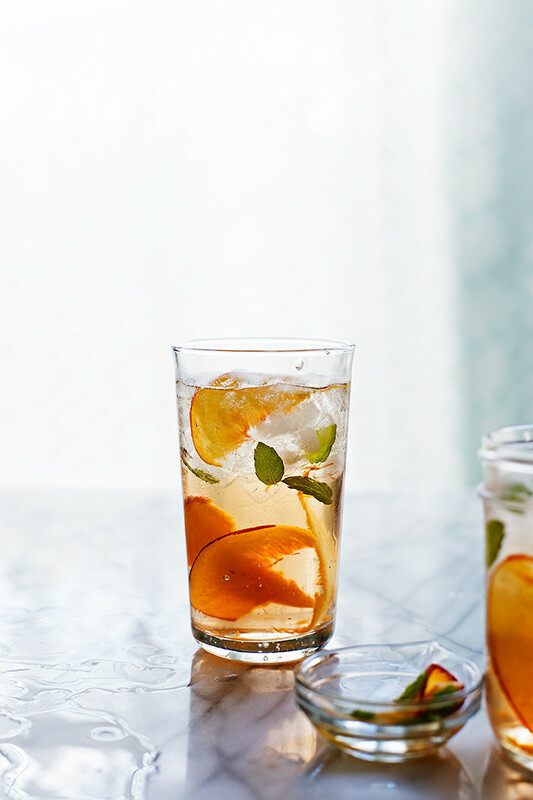 Serve over ice (with mint if you want). 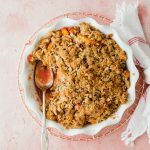 This can be made right before serving or a day in advance. 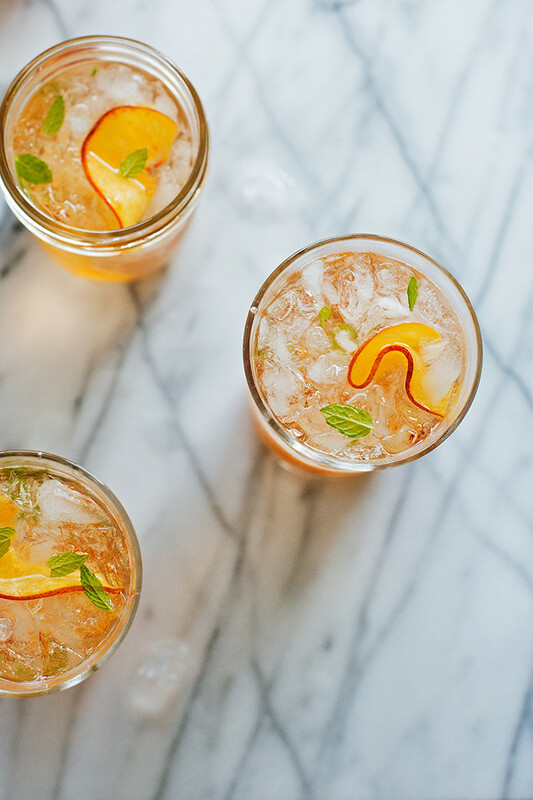 If you like a sweeter sangria, add an additional ¼ to ½ cup of St. Germain. This looks SO tasty! 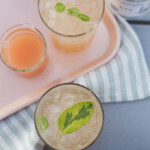 Peaches, rosé and St-Germain? I’m there. Happy hour is just 3.5 hrs away. But who’s counting? I love tequila so much, but elderflower liqueur has to be my favorite cocktail ingredient ever. Cheers to this! 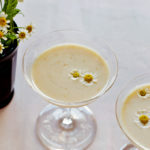 Couldn t agree more; elderflower liqueur is surprising versatile. I was thrilled with how well it blended with the tequila!